This map display is a little different from the Tracks4Africa GPS map, but the exact same data is used for the SYNC 3 map. The Tracks4Africa GPS map is updated twice a year, in May and October, but the SYNC 3 updates won’t necessarily coincide with these dates as it is likely that the SYNC 3 maps will be updated yearly by Ford and their navigation service provider, who also determine in which vehicles it is installed. Johann stressed the fact that, as with other factory fitted navigation systems, this system is a Ford vehicle part that can only be supplied and serviced by a Ford dealership and not by Tracks4Africa. 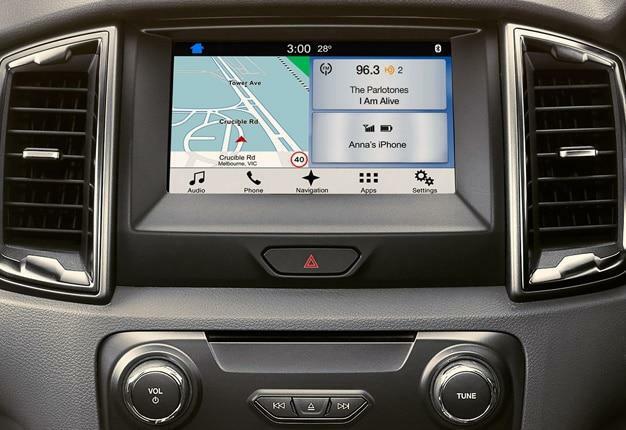 Customers with queries about the map or navigation system should contact Ford directly. In 2014 Land Rover included Tracks4Africa on their in-car entertainment system which was fitted into Land Rover Discovery models. 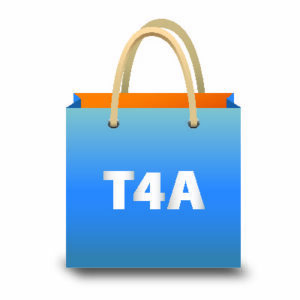 Tracks4Africa maps are compatible with certain Caska after-market entertainment systems. These are supplied by Planet Electronics. 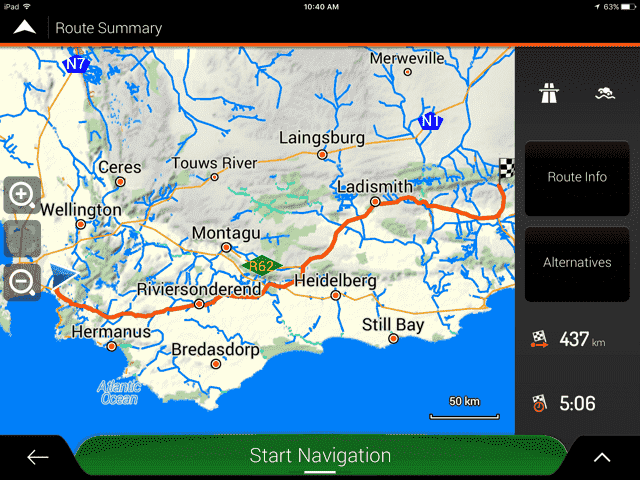 All these systems work with the iGo navigation software which is the same as that used by the Tracks4Africa Overland Navigator App, available for Android and Apple devices. The Tracks4Africa Overland Navigator App. The Tracks4Africa map represents data compiled over more than a decade by thousands of serious overland adventurers who have recorded their route on a GPS device. Their tracks are validated against those of other users who have driven the same routes before being incorporated into the map. If your vehicle was sold with a navigation system and is under warrantee then surely its a matter of them honouring the warrantee. Unfortunately we cannot be of help with this problem but if I was you I would persist in the matter. 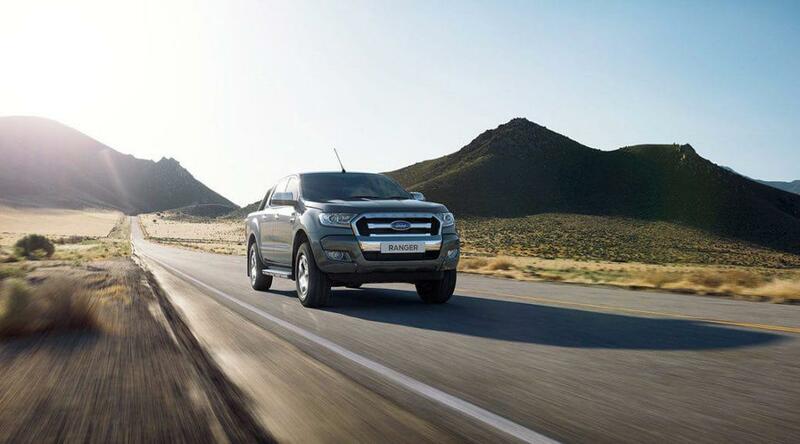 It is good that Ford’s South Africa range will add Tracks4Africa Map navigation in it’s vehicle. It will make the journey of the travellers much easier. In African countries like Ghana address system is quite typical so the map navigation will help the people who are new there extremely.